An embarrassing mistake! Jeremy Hunt, the UK's new Foreign Secretary, has appeared in many headlines after calling his Chinese wife Japanese by mistake! Join Sian and Clare to find out more about this story and to learn some great words for talking about mistakes. 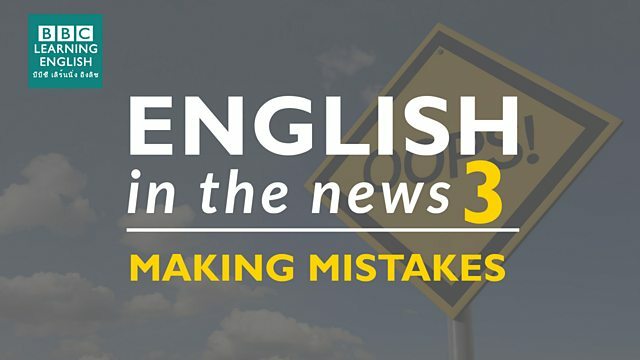 Which verb can we use when someone makes a careless mistake? I ______ and sent the email to the wrong person! 'A gaffe' is an embarrassing mistake made in public or in a social situation. Which of these sentences using 'gaffe' is correct? Pay attention to the forms of the words. He made a ______ when he called his wife the wrong name!